Trimble has brought out the Earthworks grade control platform for excavators and dozers, a system it says is easy to learn and will boost productivity on site. 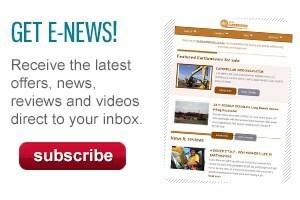 A recent report from UK construction mag New Civil Engineer has shown that globally, the construction industry has ‘remarkably poor productivity’ when compared to other industries. 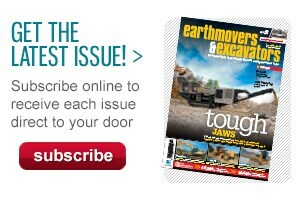 The report found that an estimated 80 percent of construction jobs run into overtime. Trimble says the new Earthworks platform aims to reduce this alarmingly high figure by giving operators a machine control system that will help them meet production deadlines, regardless of skill level. "Trimble pioneered machine control," Trimble Civil Engineering and Construction’s Scott Crozier says. 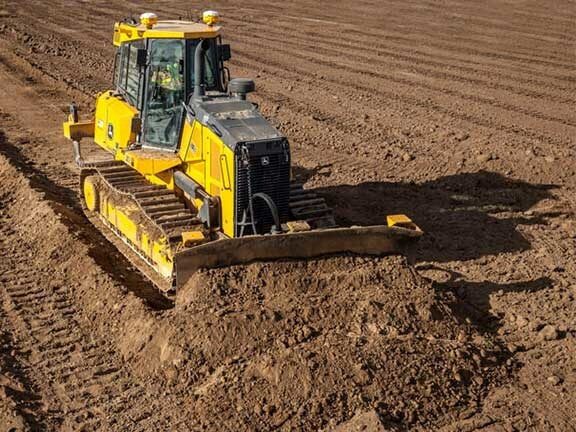 "Now, Trimble Earthworks takes machine control to the next level, with a platform that reinvents machine control technology, making it easy to use and learn, and more accessible for many different types of contractors." The Earthworks grade control software is built on the Android operating system and runs on a new 25.7cm Trimble TD520 touch-screen display or, alternatively, on a third-party Android device. The company says that Earthworks for Excavators allows operators of any level to create smooth, flat or sloped surfaces easily. 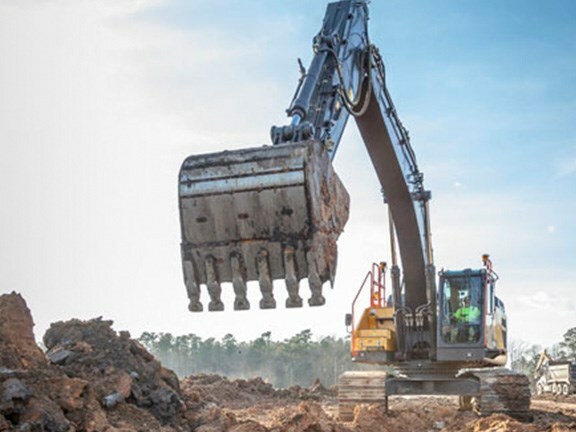 When the excavator is placed in ‘auto’ mode, the operator controls the stick and the Earthworks system controls the boom and bucket to stay on grade and reduce overcut. By enabling operators to achieve correct grade consistently, production is sped up considerably and rework reduced. Earthworks for Dozers mounts dual GNSS receivers on top of the cab to eliminate masts and cables usually located on the blade. Dual GNSS receivers are particularly suited for steep slope work and complex designs with tight tolerances. Another bonus of the new mast-less configuration is that it keeps the valuable receivers safe and can also save time as it reduces the need to remove and reinstall them each day.